Introducing Truckito Jarrito, a brand extension by Jarritos Mexican Soda. Tacos and food trucks are a tale as old as time. And what’s a taco without a Jarrito? 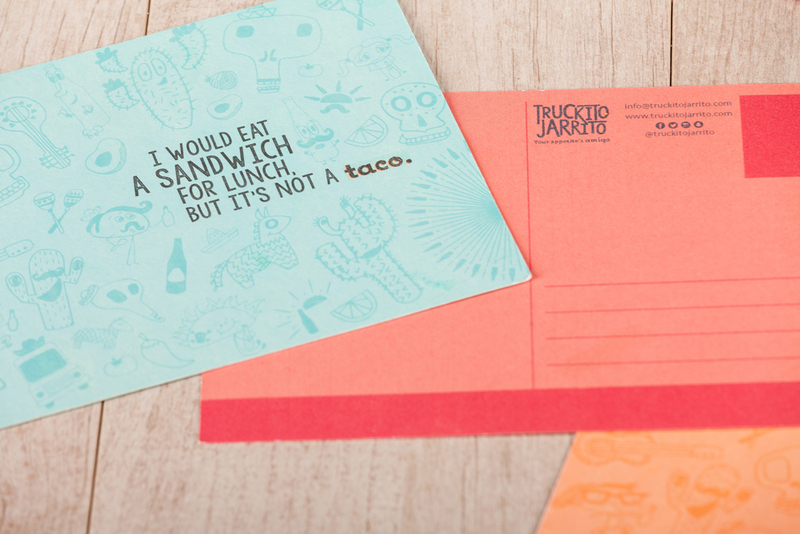 Enter Truckito Jarrito, a food truck on a mission to bring flavor and refreshment to the mouths of all. Menu, business cards (which double as bottle openers), and post cards.